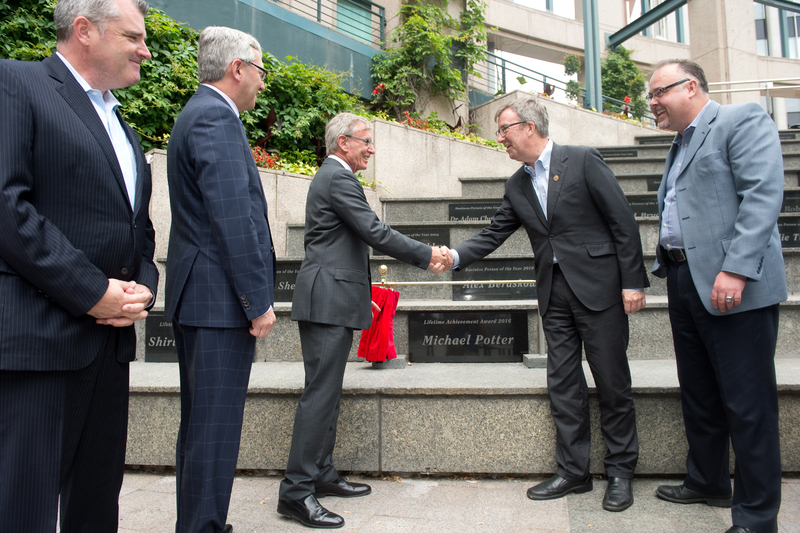 Michael Potter, who transformed an Ottawa software company into a billion-dollar enterprise, was recognized for his decades of business leadership and philanthropic endeavors late last week and officially inducted into the Plaza of Honour outside the World Exchange Plaza. 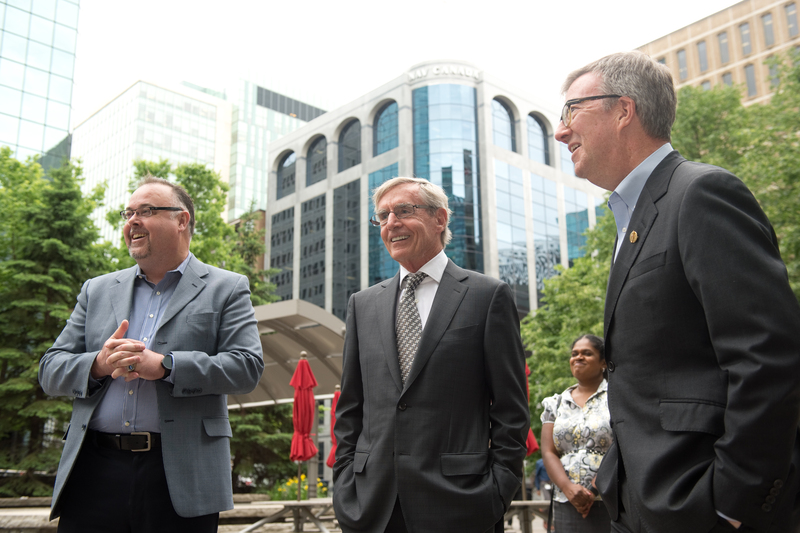 The longtime Cognos executive joins some three dozen Ottawa business people, including Rod Bryden, Cyril Leeder and Bill Malhotra, in being recognized at the Plaza of Honour. 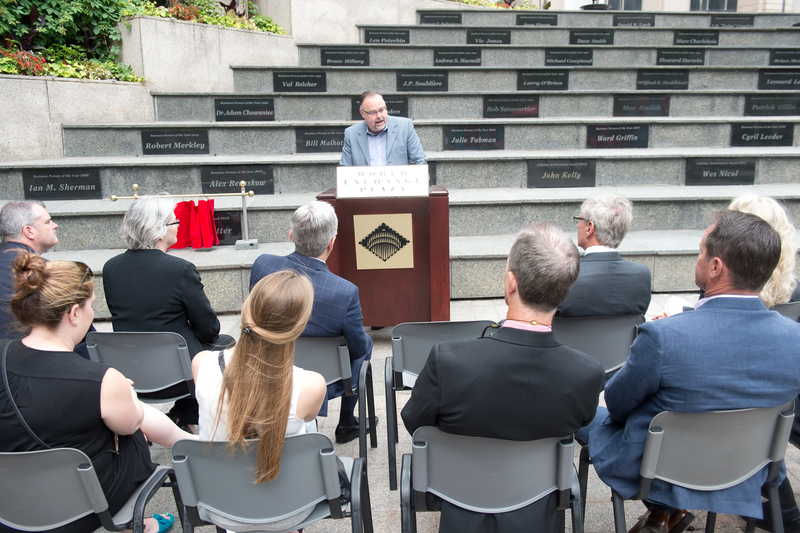 Last week’s ceremony was attended by Ottawa Chamber of Commerce CEO Ian Faris, OBJ publisher Michael Curran and Ottawa Mayor Jim Watson, among other dignitaries. Born in London in 1944, Mr. Potter – who was honoured with the OBJ-Ottawa Chamber of Commerce Lifetime Achievement Award last fall – moved to Canada at the age of seven with his family. He attended the Royal Military College of Canada and later earned a master’s degree from the University of British Columbia. He joined the forerunner to Cognos, Quasar Systems Ltd., in the early 1970s and eventually bought out its co-founders. Under Mr. Potter’s leadership, the company underwent several key transformations including a shift from government consulting to software sales. “The development of Cognos into a billion-dollar enterprise was a 30-year story. During that time, the technology environment for the software sector transitioned through multiple generations ... Very few companies of that era were able to manage such transitions,” Mr. Potter said. For years, Cognos was Ottawa’s most valuable publicly traded company and employed thousands of people. The developer of business intelligence software was sold to IBM for $4.9 billion in 2007, slightly more than a decade after Mr. Potter departed.